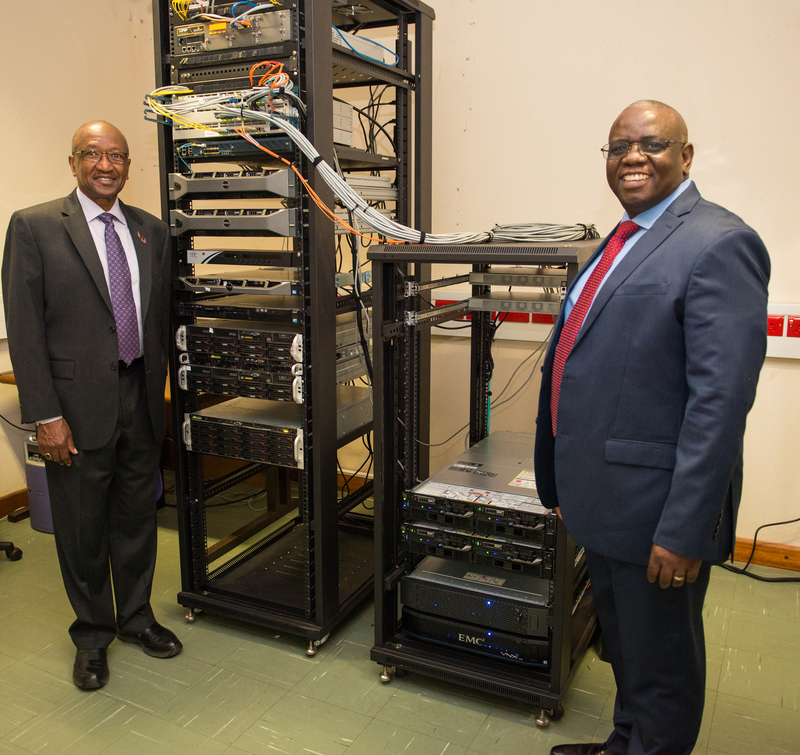 The Chairperson of the Board of Directors for Africa University (AU), Bishop Marcus Matthews toured the institution’s main campus to appraise the recent developments of the institution’s new infrastructure, equipment and services. The tour was guided by Vice Chancellor Prof. Furusa and members of the Vice Chancellors cabinet earlier this month. The planned assessment tour’s objective was to inform the Chairperson of the Board how best the University can be more responsive in addressing knowledge, skills training, technology and business incubation needs of the continent. During the tour, Bishop Matthews noted that the new developments strengthen research and innovation to better equip students to contribute towards nation building, continental development and globalization. He expressed enthusiasm and informed Management that the University’s Board of Directors are in full support of the Science, Technology, Engineering and Mathematics (STEM) initiatives of the University which aim to generate technological solutions to address the needs of individuals, families and communities in various parts of Africa. One of the units he visited was the College of Health, Agriculture and Natural Sciences (CHANS) and was impressed by the new specialized molecular entomology surveillance laboratory equipment and technical expertise for malaria prevention and control research. The equipment was donated through the USAID President’s Malaria Initiative (PMI). 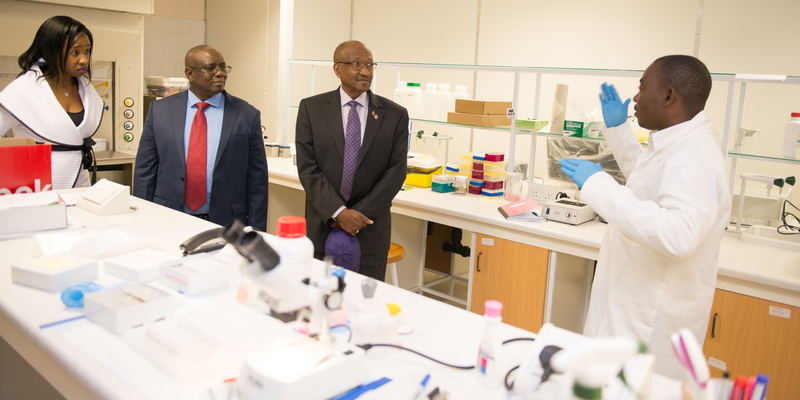 Professor Furusa indicated that he is optimistic the equipment will create opportunities for AU to engage in high impact research to contribute to the fight toward malaria on the continent. The procurement of the equipment has attracted more partnerships towards malaria research. Recently, AU partnered with Zimbabwe Assistance Programme in Malaria (ZAPIM), Africa Indoor Residual Spraying (AIRS) and the Ministry of Health and Child Care, performing specialized molecular testing for supporting the national malaria control programme operations (NMCP) of Zimbabwe. While visiting the ICT Department, Bishop Matthews commented that the recent Gate2Cross Project which was implemented in partnership with the General Council on Finance and Administration of the United Methodist Church, enhances learning and teaching, and also improves the University’s processes. He added that the infrastructure will be key to the launch of the Universities Enterprise Resource Planning (ERP) system. With these and other developments, Africa University endeavors to become a world class University, harnessing research to drive innovation, producing technological solutions to effectively contribute to the continent’s industrialization and modernization transformative agenda.